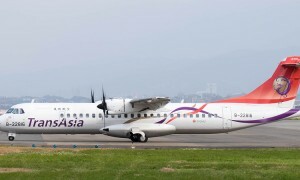 On February 4, 2015, TransAsia Airways flight GE235, an ATR72-600 airplane, registration number B-22816, took off from Taipei Songshan Airport for Kinmen Airport. According to the ROC Aviation Occurrence Investigation Act and relevant procedures, the Aviation Safety Council (ASC) initiated the investigation team to conduct the investigation. The members from domestic include Civil Aeronautics Administration, Ministry of Justice (Institute of Forensic Medicine), Tri-Service General Hospital, and TransAsia Airways. International members include experts from the Bureau d’Enquêtes et d’Analyses (BEA), Avions de Transport Régional (ATR), Transportation Safety Board, Canada (TSB), Pratt & Whitney Canada (P&WC), National Transportation Safety Board of United States (NTSB), and UTC Aerospace Systems. 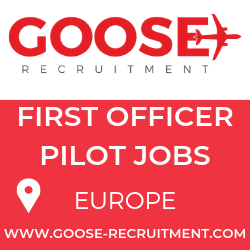 The team set up 5 working groups in areas of expertise in flight operations, airworthiness, air traffic service/weather, survival factors, and flight recorders, consisting of a total of 56 people. Through 4 months of on-scene investigations and follow-up practices, ASC completed the Factual Data Reports. After reviewed and verified by the whole team, as well as approved by ASC’s 34th Board Meeting on June 30, the reports were released to public on July 2, 2015. ASC will conduct analysis to conclude the causes, deliberate recommendations, and propose draft final report in November, 2015. The final report will be published in April, 2016, both in English and Chinese. 10:51:51 PM called “oh there it is ATPCS armed.” The aircraft lifted off and climbed out. Autopilot was engaged after after-takeoff check completed. The aircraft turned right after 1,000 ft.
10:52:38 After climbing through 1,200 ft. master warning sounded. Engine and Warning Display (EWD) showed “ENG2 FLAME OUT AT TAKE OFF” procedures. 10:52:41 PF disengaged autopilot while the flight climbing through 1,300 ft.
10:52:43 PF announced “I will pull back engine one throttle” and PM replied “wait a second cross check”. At this moment ENG1 PLA (Power Lever Angle) record indicated a reduction from 75 deg. to 66 deg. 10:53:09 PF replied “okay” ; however ENG1 PLA remained at 49 deg. The aircraft reached its highest altitude of 1,630 ft. and started to descend at 102 knots. 10:53:24 ENG1 Condition Lever (CL) was in fuel shut off position. Six seconds later ENG1 propellers were in feather position. 10:53:35 PM declared emergency on engine flameout to Songshan tower. Between 10:53:46 and 10:54:04 PF attempted to reengaged autopilot twice but failed. The aircraft stalled again during the time. 10:54:09 PF announced “restart the engine” while the aircraft was at 545 ft. with speed 105 knots. 10:54:20 ENG1 CL was advanced from fuel shut off position. 10:54:25 PM said “cannot restart it” while the aircraft was at 401 ft. with speed 106 knots. ENG1 NH1 speed recorded an increase to 30%. 10:54:27 PF said “wow pulled back the wrong side throttle” while aircraft was at 309 ft. with speed 105 knots. 10:54:34 “Pull-up” warning issued by Enhanced Ground Proximity Warning System (EGPWS) sounded. The aircraft was at 83 ft. with speed 108 knots. 10:54:35 At altitude of 55 ft. with speed 106 knots, aircraft increased its left bank from 10 deg. to 80 deg. and its left wing collided with a taxi driving on an elevated expressway at the left bank of Keelung River. The left wing continued to hit the fence of the expressway as well as a light pole, before it crashed into Keelung River.